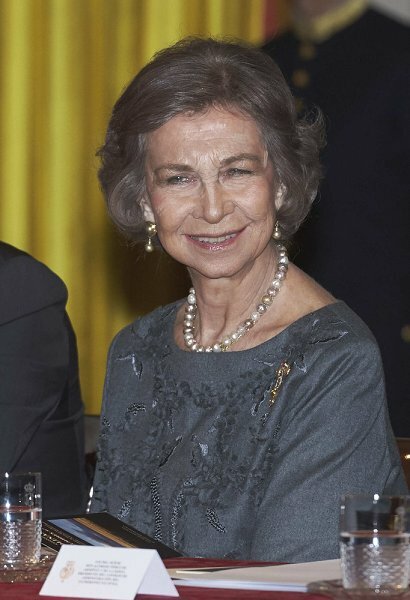 Queen Sofia of Spain attends the 25th 'Queen Sofia Iberoamerican Poetry' Award 2016 delivery ceremony at the Royal Palace on November 25, 2016 in Madrid, Spain. Spanish author Antonio Colinas was deemed worthy of the award this year. 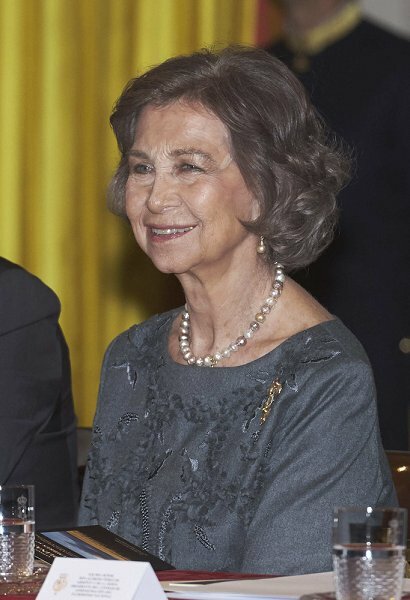 I can see that Queen Sofia is a nice woman but she hasn't aged beautifully. Maybe because her husband's philandering and questionable ways took a toll on her. 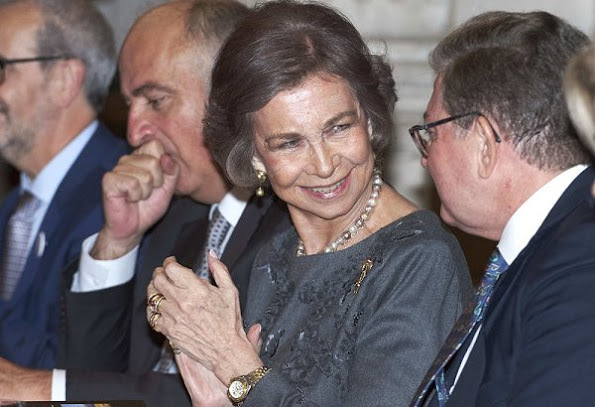 But she held it all together and I'd like to think that she is the rock behind Felipe's back other than Letizia. And she's doing wonderfully. 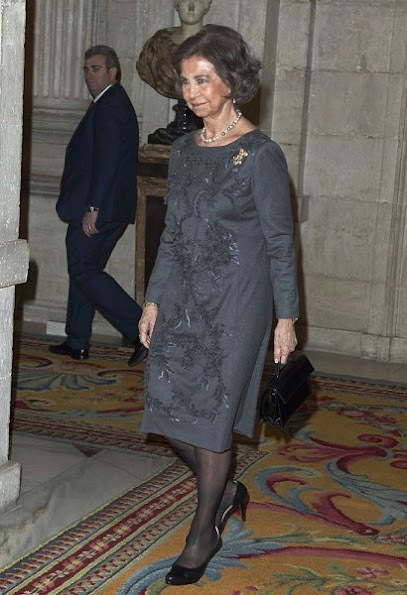 Queen Sofia and the former Queen Beatrix are both 78 and look every year of that, with Beatrix extremely wrinkled. But they both dress elegantly and perform their roles admirably. 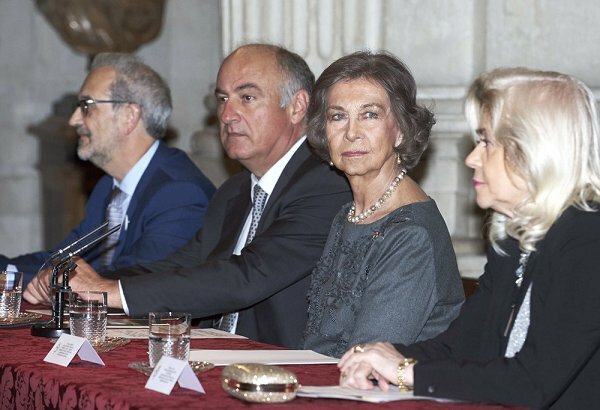 I much prefer that women age naturally rather than indulge in puffy lips and cheeks. They look sweet and grandmotherly. Good for them!